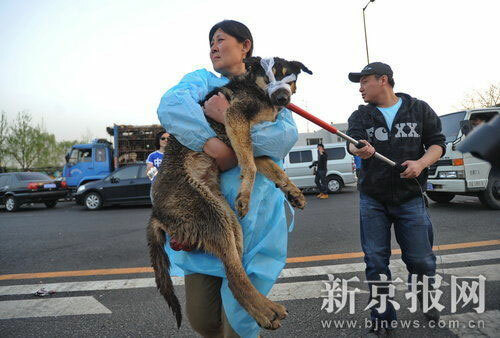 2 Dogs freed in China – On April 15 a truck carrying 520 dogs to a slaughterhouse, was stopped by the coordinated action of a Beijing animals protection organization, goal achieved thanks to a micro blogging platform. 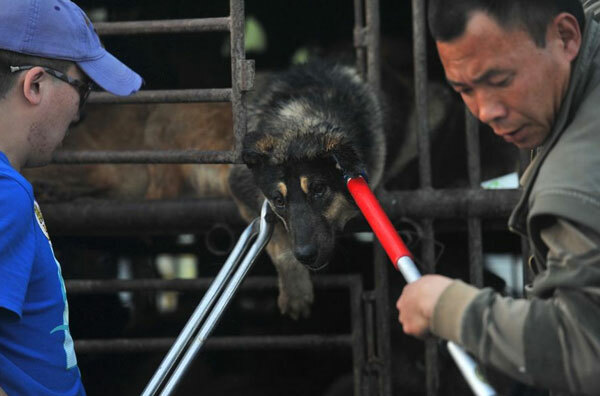 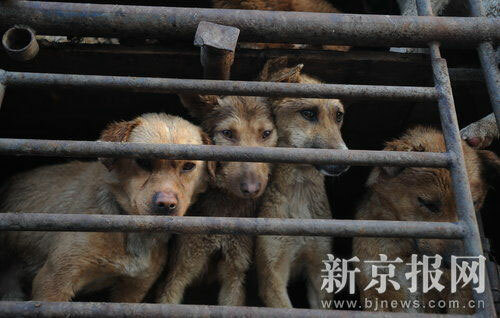 Dogs freed in China – On April 15 a truck carrying 520 dogs to a slaughterhouse, was stopped by the coordinated action of a Beijing animals protection organization, goal achieved thanks to a micro blogging platform. 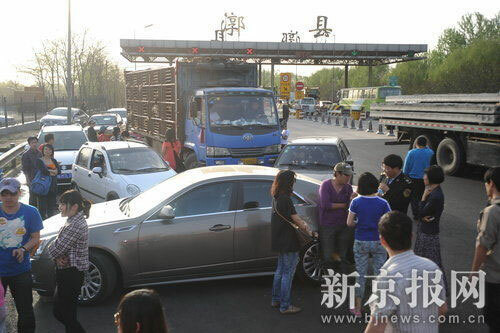 At first the truck was stopped by volunteers cars. 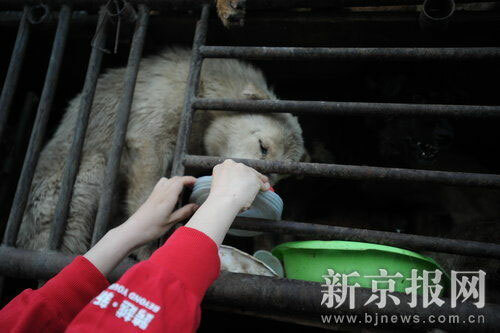 Volunteers found some wounded puppies, other dogs in poor condition or even dead. 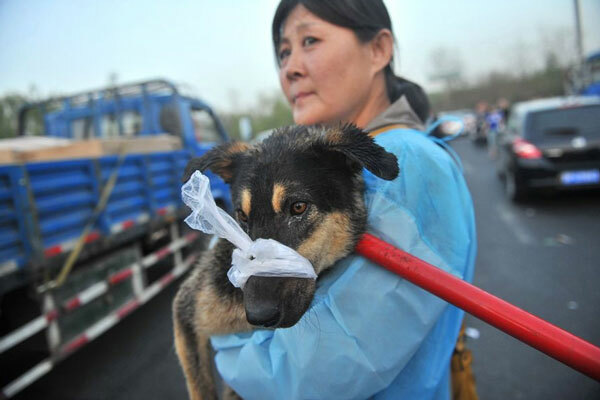 Volunteers gave water and relief to the dogs, later joined by others that brought food supplies, medicines and saline solutions. 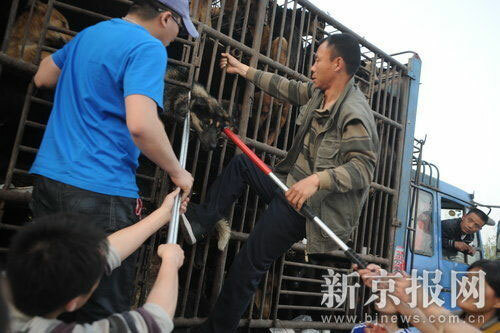 Police said that although the operation is understandable, is still illegal. 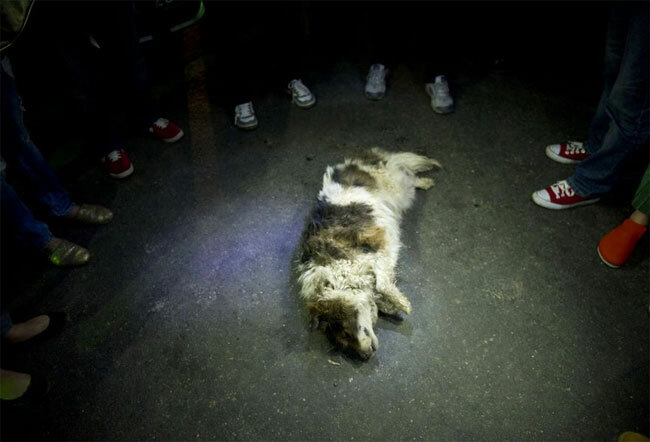 Since dead animals have been found by volunteers, dogs have to be quarantined again. 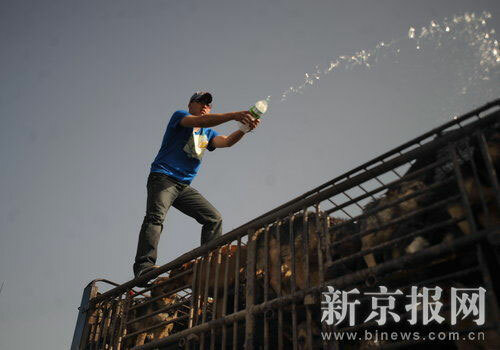 Documents found on board give evidence that the truck came from Jilin city, Henan province, and it was directed to a slaughterhouse. 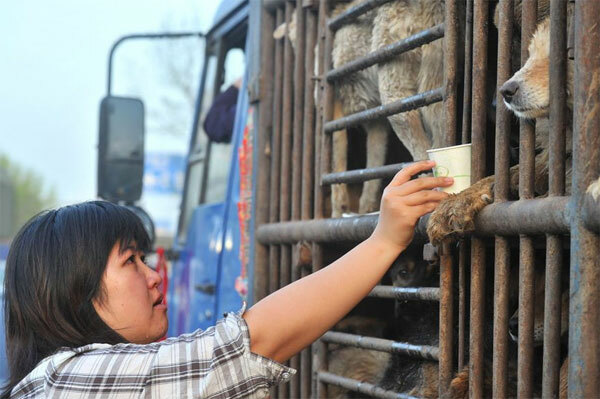 Some volunteers have offered to buy the animals, but others have said that any profit must come from this business.